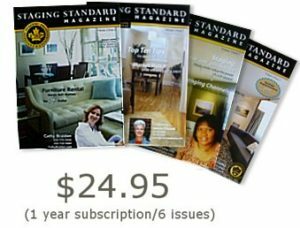 The CSP International™ is the leader in real estate home staging certification and training courses. As the economy and industry changes, our approach to education is to continually bring skill building training that will differentiate the professional from the hobbyist. There are two program options for you to select – the Foundation Standard Training Program or the Fast-Track™ Staging And Business Launch Program. 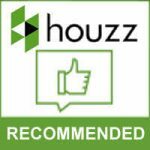 Each option provides actionable knowledge and a solid foundation in business and staging. The difference between the two is really based on how quickly you want to launch your business. The Fast-Track™ option adds coaching and business tools to your arsenal. 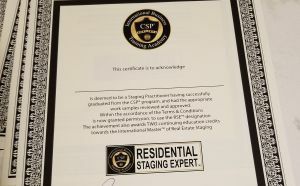 ANY staging professional in the world, regardless of affiliation, with two or more years’ experience in the field, a stellar reputation, excellent portfolio, references and who achieves the educational requirements set out as a measurement of skills, knowledge, abilities and competencies is eligible to earn the CSP International™ Master of Real Estate Staging designation. expands on what you learned in class, as well as other training, including social media & blogging to build your business. The CSP® Marketing Advantage Program (MAP) is designed to support the different levels of business skills of our alumni. Its multi‐level components acknowledge that people learn differently and within their own time commitments. 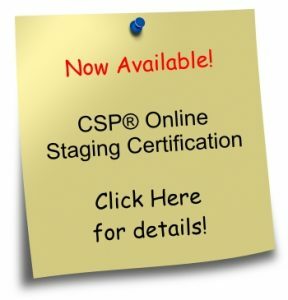 As of February 2018, all CSP® graduates can achieve their “Residential Staging Expert™” designation by completing three projects after graduation, illustrating complete understanding of the process, by submitting photos and testimonials for review to CSP International™. Vacant staging is an important revenue stream that greatly increase a stager’s revenues; it requires a totally different business model to achieve success. Imagine the insight you gain by learning from someone who is doing them business, owns one of the highest ranked companies in North America & staged over ONE BILLION $$ in real estate! Stagers also learn how to market this new service to the agents, investors and builders who are leaving money on the table by listing vacant properties un-staged. 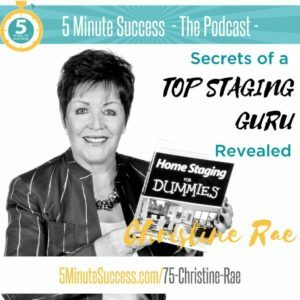 As well as much needed business secrets to success, Stagers will gain insight into how to “sell to” those clients prepared to make a significant investment in their properties. This comprehensive workshop provides insight, principles, best practices and strategies for agents to assist property sellers to maximize equity gain during the sale of a property. Protecting Your Clients Equity Through Home Staging is a multimedia, digital course designed to teach you everything you need to do, as a realtor, to bring in a professional home stager to help sell your clients’ homes faster and for more profit.